I hope that everyone has a great weekend! Thanks for stopping by to take a peek! We have changed a few things in the store this week and wanted to let you know about them. Per customer request, we are now selling our Ultra Smooth Pure White, Kraft & Speckled card stock in packs of 12 for $3.50, 25 for $6.50 and 50 for $11.50. All other colors will be sold in packs of 12 for $3.50 and 25 for $6.50. In case some of you don't already know, we also have a "Build Your Own" card stock assortment pack - 25 sheets for $7.50. With our assortment pack you can try any combination of our colors in any quantity you wish. How is that for flexibility? Our premium heavy card stock comes from a mill in the United States that is known to be the best in the letterpress and graphic design industry. Our 8 1/2 x 11" thick card stock coordinates with our grosgrain ribbon collection. Our Ultra Smooth Pure White card stock is 110lb and all other colors are 100 lb weight. It is also Acid Free / Chlorine Free. We will be releasing four new colors (with matching grosgrain ribbon) in August so stay tuned! We thought that we would showcase another great card from one of our customers. Arielle posted this great tag on our Facebook page and we are SO glad that she did. She used our Blossom & Blooms stamp set to create a Christmas tree! How creative is that? 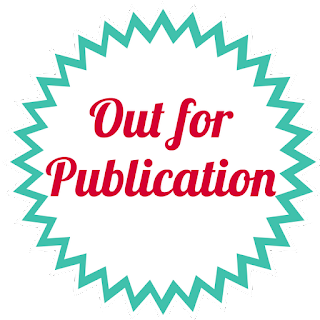 Be sure to check out her blog here to get more details on how she created it! Happy Friday!! I wanted to share this quick card I created using our Bright Days stamp set and a cut file I made to match. I stamped the sentiment in black ink first and then the small ray and large circle using Versamark ink onto yellow card stock (maybe a color that will be released next month? ;)). I sprinkled clear glitter embossing powder on top and heat set it to finish it off. I added some foam tape to adhere the panel to an Ultra Smooth Pure White base to complete the card. I love the effect. This is my kind of project - quick and easy. If you are interested in the 4.25" x 5.5" .svg or .pdf cut file I used, just click on the links below. Download the Bright Days PDF file here. Download the Bright Days SVG file here. We are so excited that we are starting to see Avery Elle products in use by our customers. It is so fun to see your creativity. Check out this awesome card that Vera posted on our Flickr group. 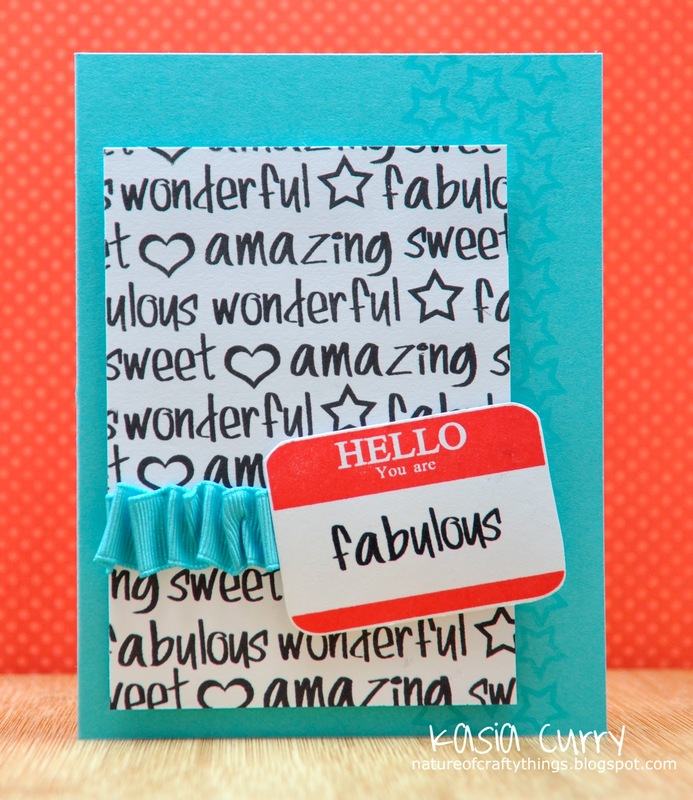 Her use of ribbon and colors using our Framed Fonts stamp set is perfection! Congratulations to Marie / Legojenta. You won our Inspiration Week Giveaway. 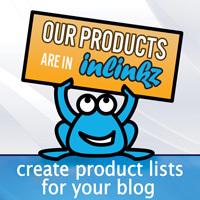 Please email us at customerservice@averyelle.com so that we can get you set up with your $25 credit. Thanks to all of you for your participation last week. We will be having our next release week the beginning of August with 4 new stamp sets and 4 new card stock / ribbon colors! We will be sure to post more details here on the blog and on Facebook as it gets closer. Day 5 - Wrapping Up Inspiration Week! Hello! Welcome to the last day of Avery Elle's Inspiration Week. Thank you so much for all of your enthusiasm and kind comments this week. Without further ado, let's get to today's projects. I love how JJ created a firework effect using our Bright Days and Framed Fonts stamp sets. It is so festive! Also, did you see the cute Mr. Right card that JJ posted on her blog yesterday? 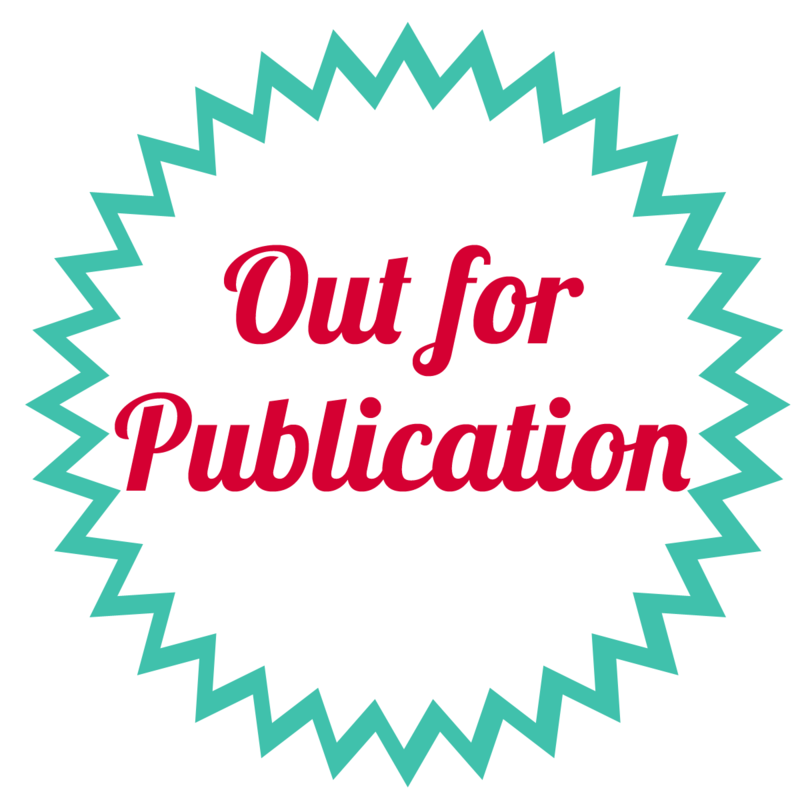 She so kindly posted the template on her blog so be sure to grab it here. 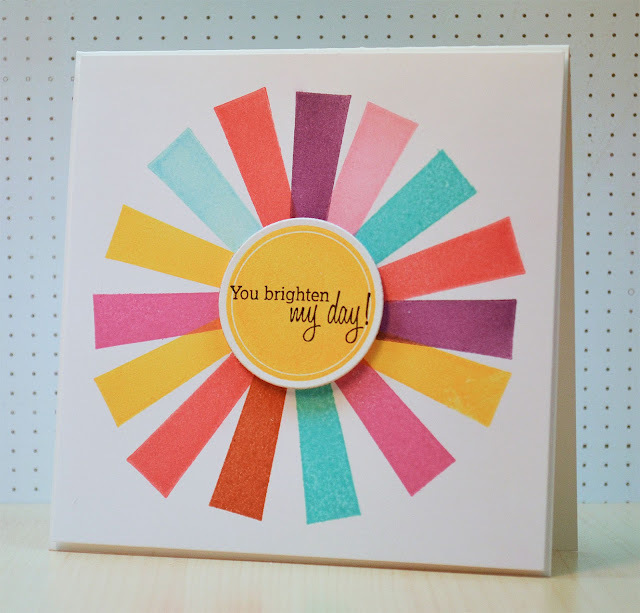 I absolutely adore how Chunyuan combined our Blossoms & Blooms and Bright Days stamp sets. Don't you love how the sunburst makes the flower "pop"? 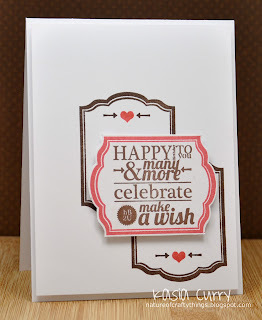 Be sure to check out this cute card by Heather over on her blog. I love how the name tag is "clipped" to the twine banner! 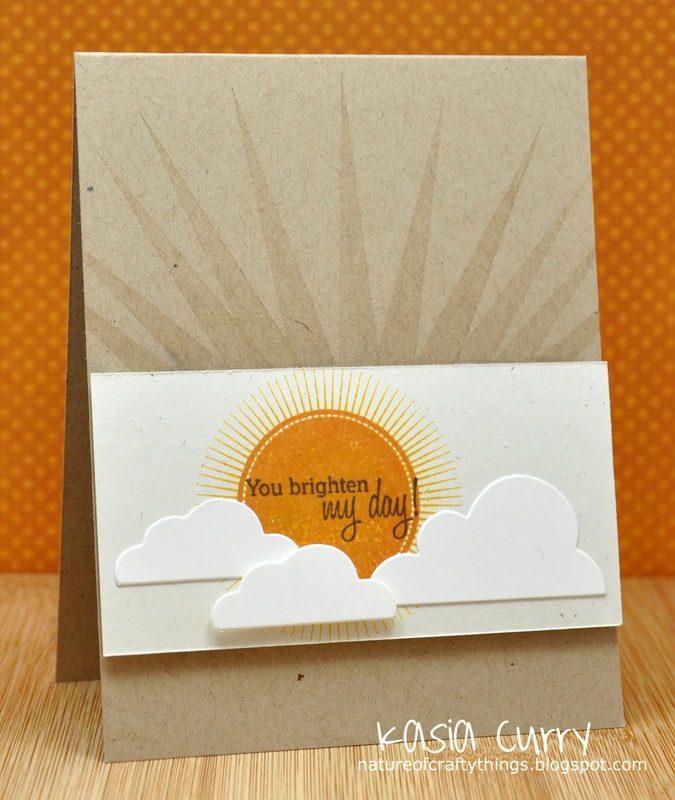 I posted this card by Kasia earlier in the week. It's so pretty that it is worth seeing again! ;) Be sure to check out her blog for more details! Today is the last chance you have to enter our Inspiration Week Giveaway. Be sure to comment on this post and or any of the design team's posts, like us on Facebook, and/or follow our blog for more chances to win. The contest ends tonight, Friday the 13th, at 11:59pm PST. I will post the winner of a $25 store credit here on Monday! Day 4 - Even More! Welcome back to Avery Elle's Inspiration week. I am excited to show you what else our Design Team has in store. Be sure to check out our Design Team's blogs to see what they have been up to. 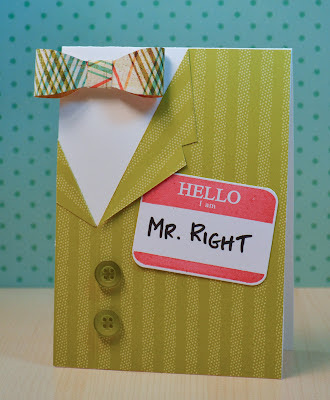 JJ has created this cute card using our Bright Days stamp set and Ultra Smooth Pure White Card Stock. We have been getting so many comments from customers (and now JJ herself) telling us how this is their new favorite. Our Pure White heavy card stock is ultra-smooth and the brightest white we could find. We believe our pure white thick card stock takes white to a whole new level. It is 110 lbs and comes from a mill in the United States that is known to be among the best in the letterpress and graphic design industry. 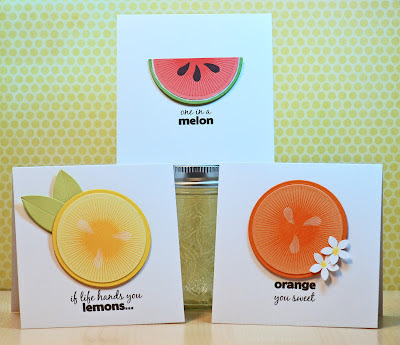 Heather created this great card using our Hello... stamp set and Sea Glass card stock. 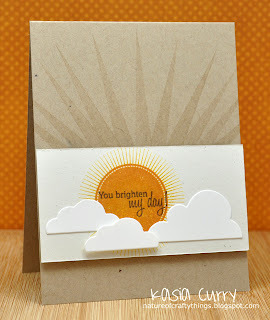 I love how Kasia shows the points of the rays from our Bright Days stamp set. I am definitely going to "steal" that idea! Check out what Chunyuan made using the same stamp set and Sea Glass card stock base as Heather! Thanks for stopping by to take a peek. Be sure to check us out the rest of the week to see what else our fabulous design team has in store! Don't forget about our giveaway ending this Friday of a $25 store credit. You can check out all of the details on this post here. 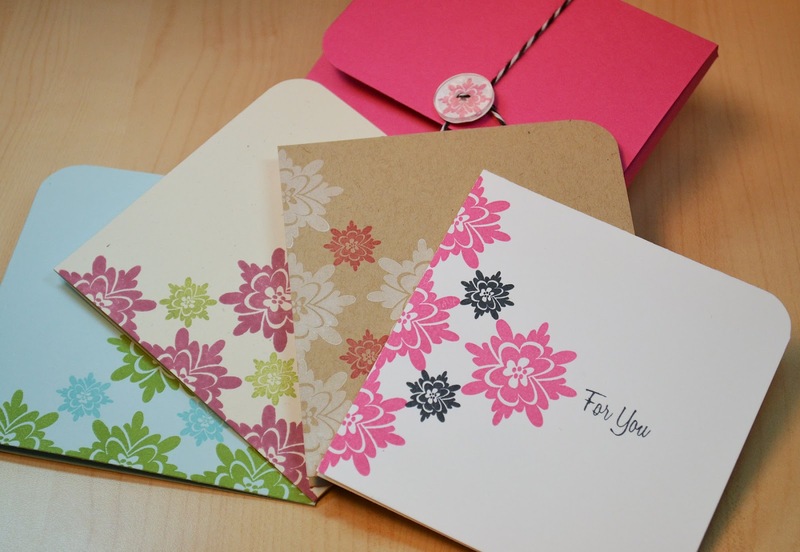 For today's entry, comment and let us know what your favorite Avery Elle card stock color is so far. Today we are featuring more great work from our design team. Be sure to check out Heather's blog here to get more detail on how she used our Blossoms & Blooms clear photopolymer stamp set to make this beautiful card. Don't you love how the flowers dip down to the right? Kasia used our Ultra Smooth Pure White card stock and Blossom & Blooms stamp set to make the cool framed effect on this card. Be sure to check out her blog for more details here. 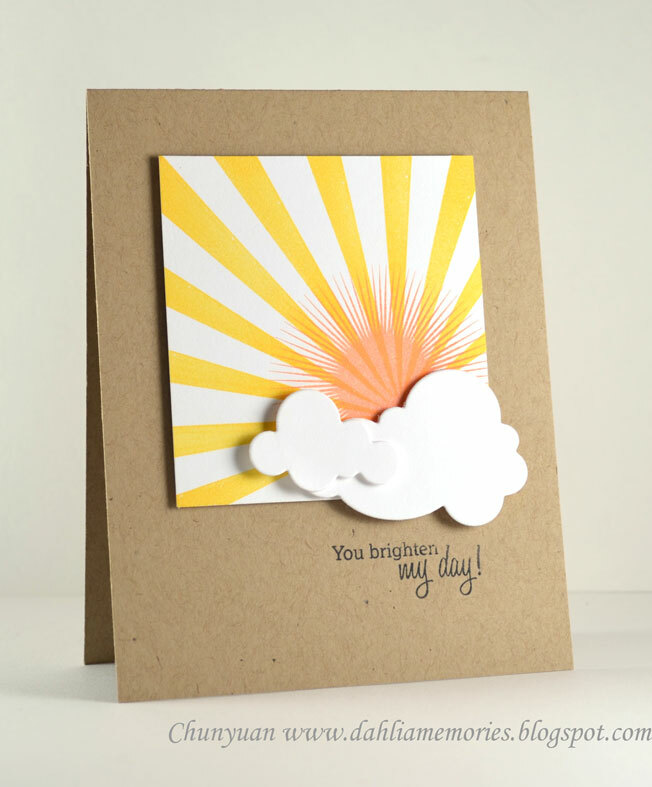 Take a look at the ombre effect Chunyaun created in this clean and simple card. 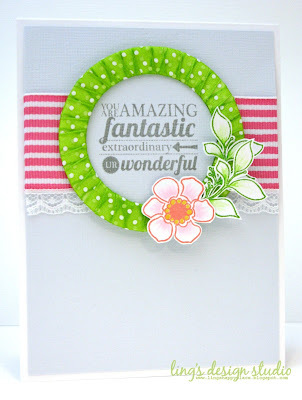 The varying shades of pink in this border from our Blossoms & Blooms stamp set would make anyone happy! Last but definitely not least is JJ. 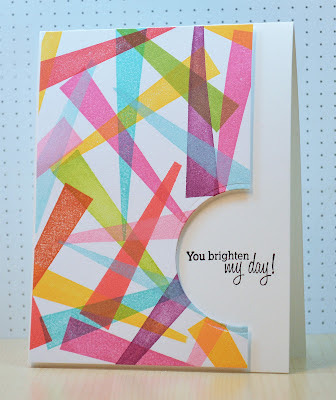 Be sure to check out her blog here to see and get more details about this colorful abstract project that she created using our Bright Days stamp set! How fun is this? Don't forget that we are still giving away a $25 credit to our store, www.averyelle.com, to one lucky winner. All you have to do to enter is comment on any of our blog posts this week, any of the design team posts, like us on Facebook and/or follow our blog. Each comment, like, follow will be an entry and if you already are a follower of us on Facebook or this blog that counts too. The more you comment, the better chance you have of winning! The contest ends this Friday, July 13th, at 11:59pm and I will announce the winner on the blog on Monday, July 16th. Hello there! Welcome back to day 2 of Avery Elle's Inspiration Week. How great were all of those projects yesterday? Be sure to check out the Design Team's blogs throughout the week to see what they have for you. Chunyuan is on vacation this week - lucky her! - so I will be featuring her other projects here throughout the week. Check out this great hexagon card that she made using our Framed Fonts clear photopolymer stamp set. It doesn't get much better! Why stop there?? How cute is Heather's card that she posted on her blog yesterday using our Bright Days photopolymer stamp set and card stock? I love how sweet it is! The colors and heart are just fantastic. JJ's creative use of our Blossoms & Blooms and Bright Days stamp set is a complete wow! Amazing. 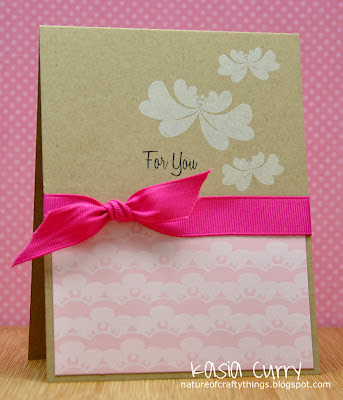 Kasia's use of our Blossom & Blooms stamp set is so pretty. Using white ink to stamp the images makes it soft and so shabby chic. Don't forget about our giveaway ending this Friday of a $25 store credit. You can check out all of the details on this post here. For today's entry, comment and let us know what has been your favorite stamp set so far. We love reading each and every one of your comments! 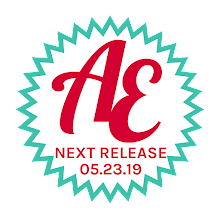 Thanks for stopping by to take a peek and don't forget to check back tomorrow to see what else we are up to! I am so happy that I can finally highlight what our design team has been up to with our June release. Be sure to check out their blogs throughout the week for more details regarding all of these projects and more. I love everything that they did so let's get right to it. 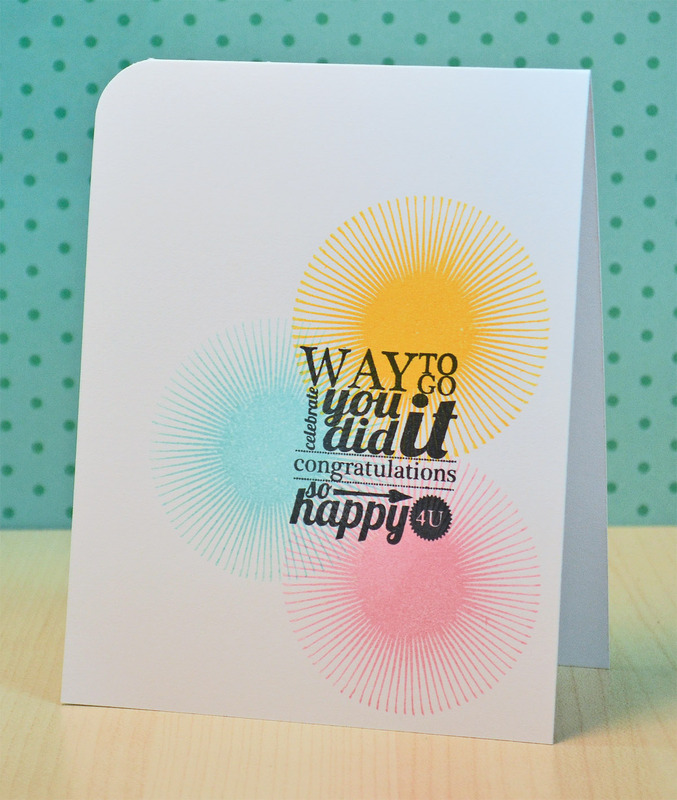 Chunyuan created this card using our Bright Days clear photopolymer stamp set and card stock. Her layering of stamps and color choices are spot on for this sunny and happy card. I love how clean the composition is and am sure that the recipient will love it! 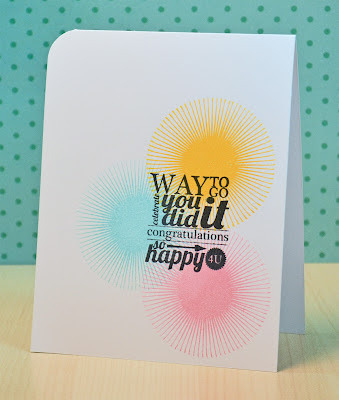 Heather created this card using our Framed Fonts clear photopolymer stamp set. I love how she used our Sea Glass card stock and ribbon to contrast the black of the bold polka dot print and sentiment. I think the stitching on the background is executed beautifully. 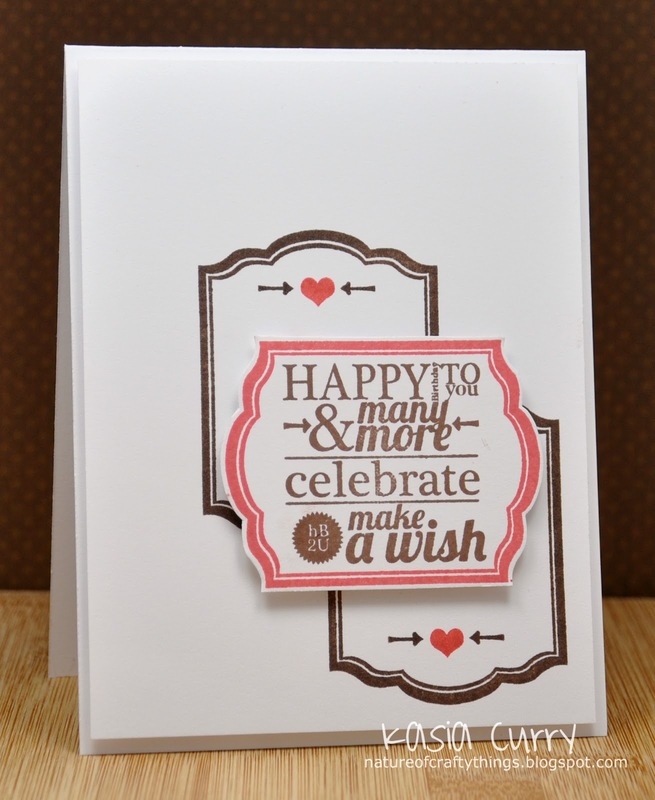 JJ's Blossoms & Blooms card set is so pretty in its simplicity. Creating single layer cards that look complete can be a difficult task, but JJ makes it look easy. I love how she created the "envelope" using our card stock to hold this set and included the floral button to tie everything together. Be sure to check out her blog this week for instructions on how to create one for yourself! 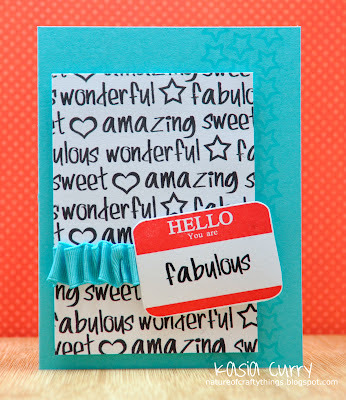 Kasia's use of our Hello... clear photopolymer stamp set sentiments and card stock to create patterned paper is brilliant. I tend to gravitate to bold graphic designs and this is right up my alley! From the color combination to the folded ribbon, I think that this is executed perfectly. We will be featuring the design team's work over the course of this week here on the blog. To celebrate Inspiration Week we are giving away a $25 credit to our store, www.averyelle.com, to one lucky winner. All you have to do to enter is comment on any of our blog posts this week, any of the design team posts, like us on Facebook and/or follow our blog. Each comment, like, follow will be an entry and if you already are a follower of us on Facebook or this blog that counts too. The more you comment, the better chance you have of winning! The contest ends this Friday, July 13th, at 11:59pm and I will announce the winner on the blog on Monday, July 16th. I hope that everyone in the US had a great 4th of July. We wanted to let you know that we are now back to our normal shipping schedule. Don't forget to check back with us on Monday for some incredible cards from our talented Design Team and a giveaway from us! I had a chance to preview some of their cards and they are so good! You definitely won't want to miss them.